Justin Laughter is a business, intellectual property, and entertainment attorney. His experience representing clients is wide-ranging, including business and non-profit structuring and operations, copyright and trademark protection, licensing and enforcement, music/film/literary/theater law, internet law, and private securities offerings. He regularly counsels startups, artists, labels, publishers, breweries, restaurants, makers, and other creative entrepreneurs. Justin has been honored as a Virginia Super Lawyers-Rising Star in IP (2013-2019), part of Virginia Business Magazine’s Legal Elite (2011, 2014, 2016, and 2018) and as one of Richmond’s Top 40 under 40 by Style Weekly Magazine (2008). He is a 2003 graduate of the University of Virginia (Phi Beta Kappa) and a 2006 graduate of William and Mary Law School (Order of the Coif). He is also active in the nonprofit, creative, and entertainment community. Justin is a Board Member of the Richmond Performing Arts Alliance, Board Member of Kid Pan Alley, Board Member of JAMinc, Board Member of AMP! 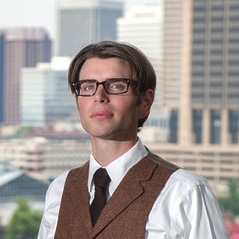 Metro Richmond, Board Member of OneVoice, a member of Lawyers for the Arts, and an advisory board member of Gallery5 (museum, art, and performance). He is also the former Interim Executive Director of Virginians for the Arts, a statewide arts advocacy non-profit organization. Further, Justin is a voting member of the National Academy of Recording Arts and Sciences, known for its Grammy Awards. Justin is an adjunct professor at the University of Richmond Law School. He also routinely speaks to community audiences, law students, and professionals on legal topics. Justin is Co-Founder of Educational Media Creations Company, LLC dba Silly Bus, an educational media company organized to help children feel confident, successful, and happy while learning foundational components of elementary education (see www.sillybus.net).